We’ll be putting removable cabinets in the front of the van. 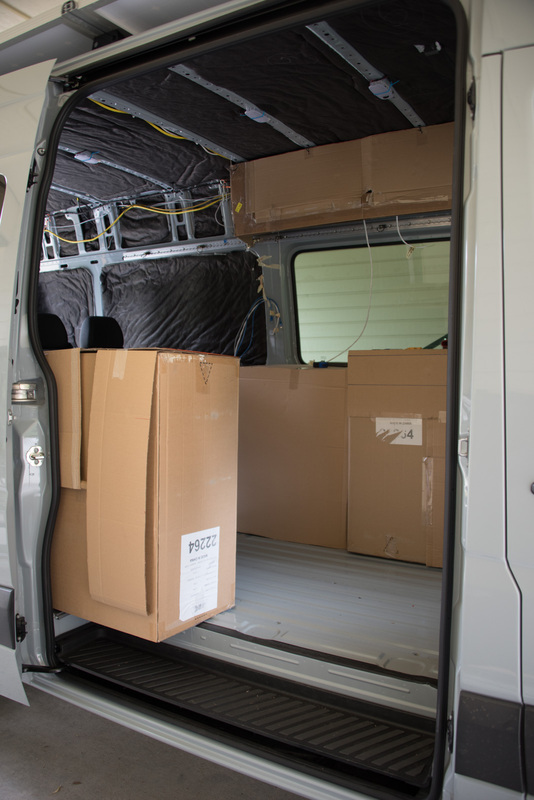 We knew pretty much what size they needed to be in order to hold the items we want to carry, but we didn’t know what that meant for maneuverability in the living area of the van. So, I resorted to a tool I use in my day job – paper prototyping. We’d already done this to work out the best configuration for the electrical components in the garage area of the van. Now, we just needed bigger cardboard boxes and more tape in order to make real-size mock-ups of the cabinets. This mock-up turned out to be really important. 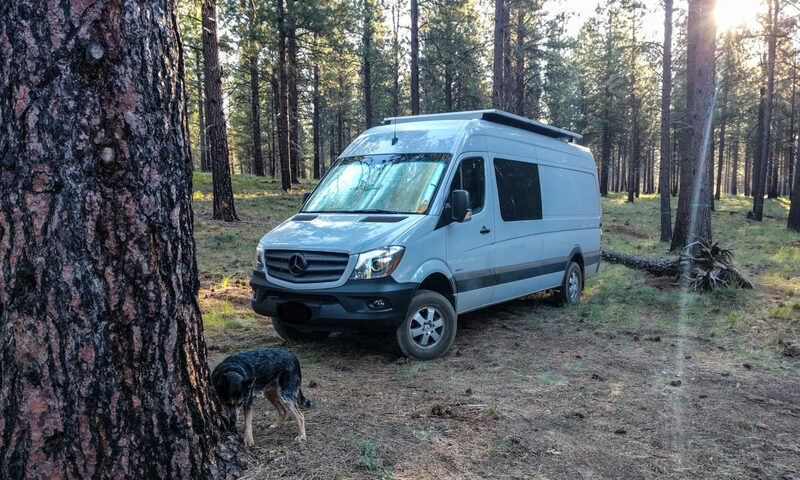 It helped us visualize how we’d use the living area of the van. We walked through some common scenarios, like cooking, eating, and such like. We also thought about situations where we wouldn’t want all the cabinets in place – for instance, taking the sliding door cabinet out to give us more floor space. In turn, that made us realize that we’d need an overhead cabinet in order to have enough storage space, and it allowed us to work out what dimensions that cabinet could be without getting in the way. When we’re done, we’ll use l-track (“logistic track”/”airline track”) to bolt the cabinets in place. That way, they can be moved or removed whenever we need to reconfigure the van for other uses.